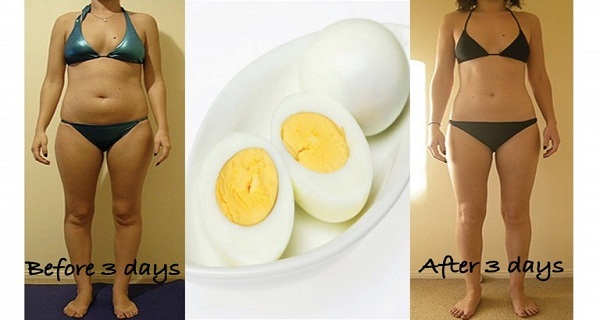 This diet is for quick weight loss and you should to apply just 3 days a week. Avoid the sugar, salt, pasta and other foods that are harmful and full of calories, chips, fried foods, fat meat and fizzy drinks. Breakfast: Two boiled eggs, 2 tomatoes and a cup of green tea without sugar. Lunch: Two egg whites, 120 grams of boiled or baked fish and a glass of green tea. Dinner: Vegetable of steam (broccoli, cauliflower, carrots, peas, green beans, etc.) with a cup of green tea. Breakfast: Two boiled eggs, 1 banana and a cup of green tea. Lunch: Two egg whites, 120 grams boiled chicken without skin and a glass of green tea. Dinner: 120 grams of cottage cheese, a slice of rusk and a cup of milk with low fat. Lunch: Two egg whites, 120 grams of cooked red meat and a cup of green tea. Dinner: Two baked potatoes, green salad and a glass of green tea.